Hello everyone! It's been a year since I last saw you, so let’s kick off 2015 in a very special (and sweet) way: with a new cuisine experience! (Warning, there's chocolate involved!) What a better way to start off the weekend than by doing a chocolate tasting? I couldn't imagine neither a sweeter nor more delicious way. Whether it was about the experience of doing a chocolate tasting (my first one!) or the fact that it was all gluten free, I won’t deny that I was really excited to appeal my sweet tooth. To start with, a documentary on cocoa harvest and production, was watched. Though you might wander why this is necessary, instead of going straight to the tasting part, I personally think that understanding all the processes involved in the chocolate production is important if you truly want to be more knowledge on this new fascinating world. Understanding where chocolate comes from and what it actually means is key for when you later try the chocolate. Then, we got to the part that we were longing for: tasting the chocolate! Small pieces of chocolate were placed in small trays; all identified with a generic name (as to avoid being biased) except for a pack of four trays that were identified by their basic taste: sweet, neutral, sour and bitter; and those four were the ones that we started with, so a clear specific taste could be identified and be put on use later on as we kept tasting different varieties of chocolates. It was such an enjoyable and delightful time, not only we got the chance to know more about this interesting world, the world of chocolate, but we found ourselves in a battler for finding tastes and words to describe it. We also got some very useful tips, such as not storaging the chocolate inside the fridge, unless inside a tupperware container or a hermetic seal bag to avoid the humidity ruining the chocolate. You shouldn't also get crazy on finding "the best" chocolate over there, but focus on your taste and what you like, and that will be the best chocolate, for you. If you find yourselves stepping by in Spain and fancy some traditional spanish pastry, all gluten free, you can find Marqués Pastry Shop in Madrid as well as in a city of northern Spain called Gijón (see maps below). Thank you Alejandro for organizing such a wonderful event, and more over, taking in consideration the coeliac community! In conclusion - Glutenacious Life Experience: What else can I say besides that I truly enjoyed this new experience. Never thought of the possibility of a gluten free taste, and even the less, on the infinity possibilities that chocolate can offer there are way more tastes tan I expected, but now I feel confident on keep growing in my cuisine love. Have you even been to a tasting, of any type? 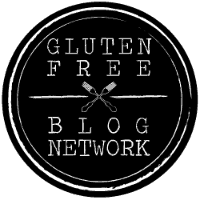 Feel free share your experience and let us know how it was, I'm wondering how many other gluten free events are taking place around the world. Note: The chocolate tasting was at My Glutenacious Life own expense.